Missy started making veggie-packed salads with beans or tofu for dinner. Soon, her sister convinced her to join a gym. “At first I barely lasted 20 minutes on the elliptical, but I kept tacking on more time,” says Missy. By the end of that summer, she had dropped 10 pounds. 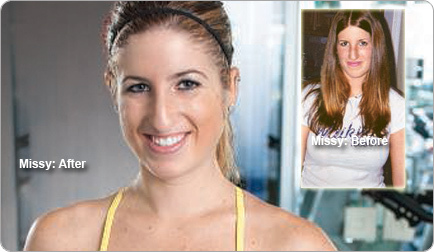 When Missy got to college, she joined a gym and added body sculpting and cardio classes. 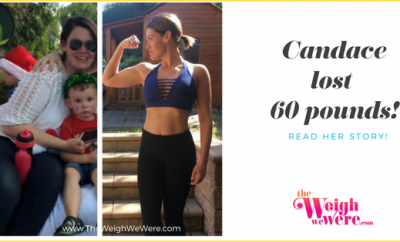 By spring she was another 25 pounds lighter. Next Story → Real Weight Loss Success Stories: I Lost 170 Pounds And Became a Zumba Fitness Instructor!